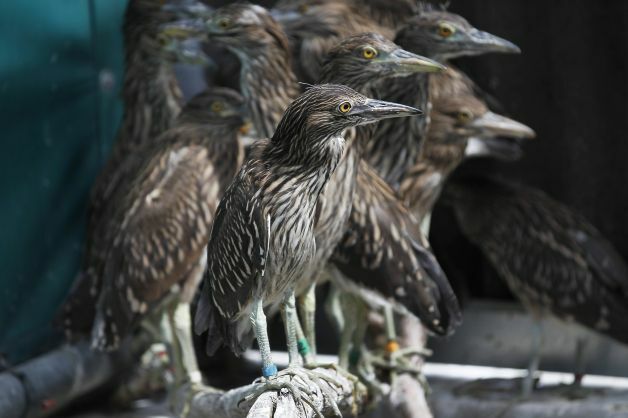 Baby Black-crowned Night Herons in International Bird Rescue’s care. Photo by Leah Mills, © San Francisco Chronicle. • The San Francisco Chronicle pays a visit to International Bird Rescue’s SF Bay center, where we recently met Ernesto Pulido, a tree-trimming business proprietor who has offered to support the care of baby Black-crowned Night Herons who fell from their nests and were injured in a incident in Oakland, CA. We were impressed by Pulido’s compassion, as well as his willingness to take responsibility for the incident and to do what he can to right the situation. • This may be one of the most important news stories of the 21st century. 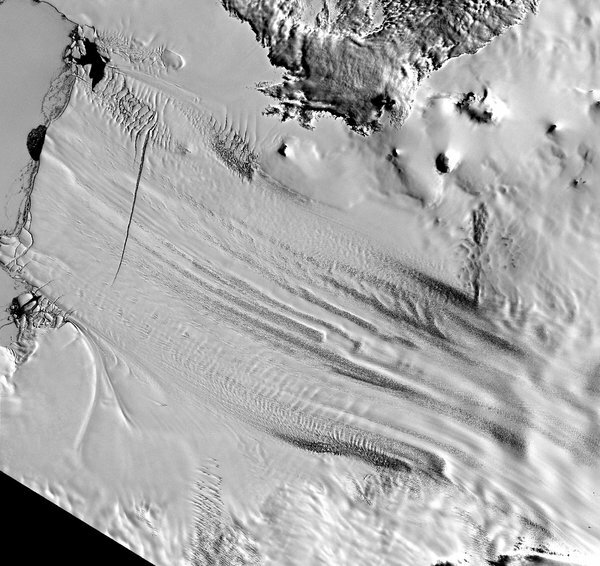 Scientists have concluded that a large section of western Antarctica ice sheet has begun to thin and retreat, which could inexorably accelerate the rise in sea level by as much as 10 feet in the coming centuries. • Today is Endangered Species Day. We are currently taking care of one species considered threatened in the state of California: A baby Black Rail, which fell victim to a cat attack. This animal is very secretive and tiny, so we have not yet taken a photograph as we do not want to stress the rail. We’ll post a photo when we feel confident that taking an image of the bird will not affect its rehabilitation. This entry was posted on Friday, May 16th, 2014 at 9:39 am and is filed under News. You can follow any responses to this entry through the RSS 2.0 feed. You can skip to the end and leave a response. Pinging is currently not allowed.